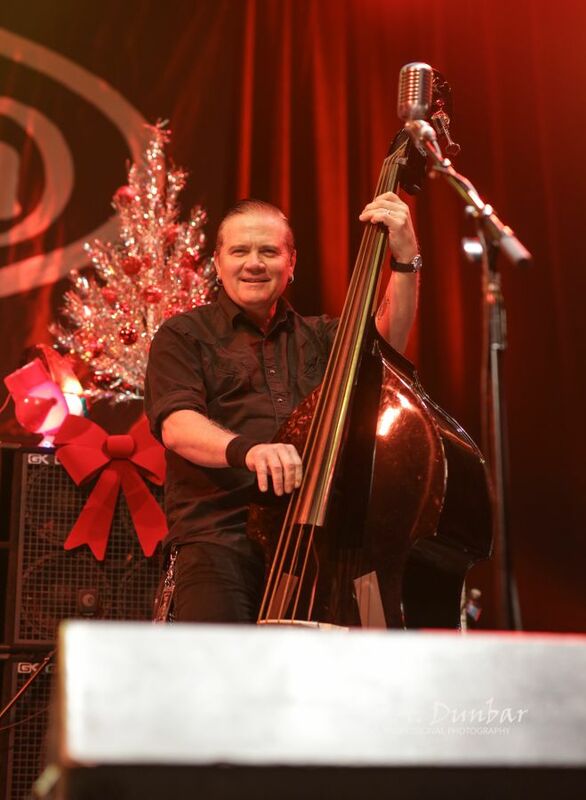 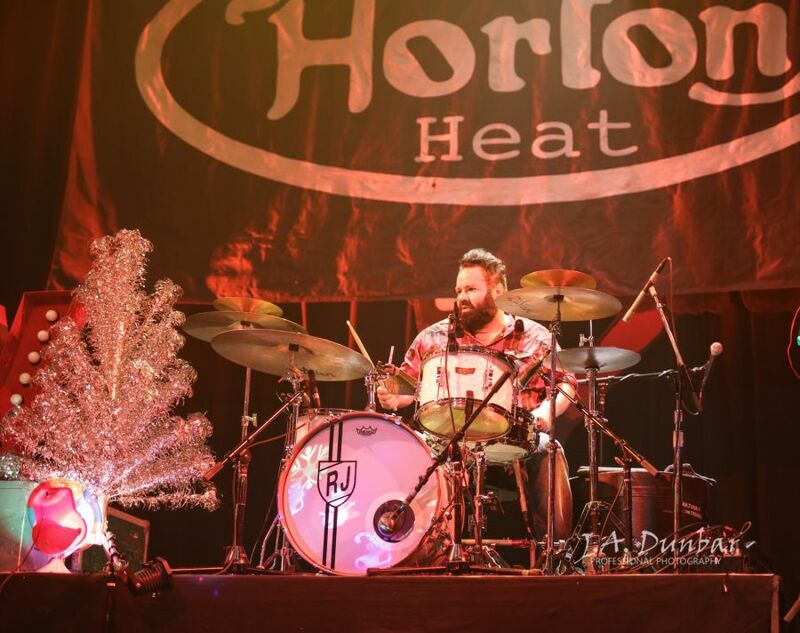 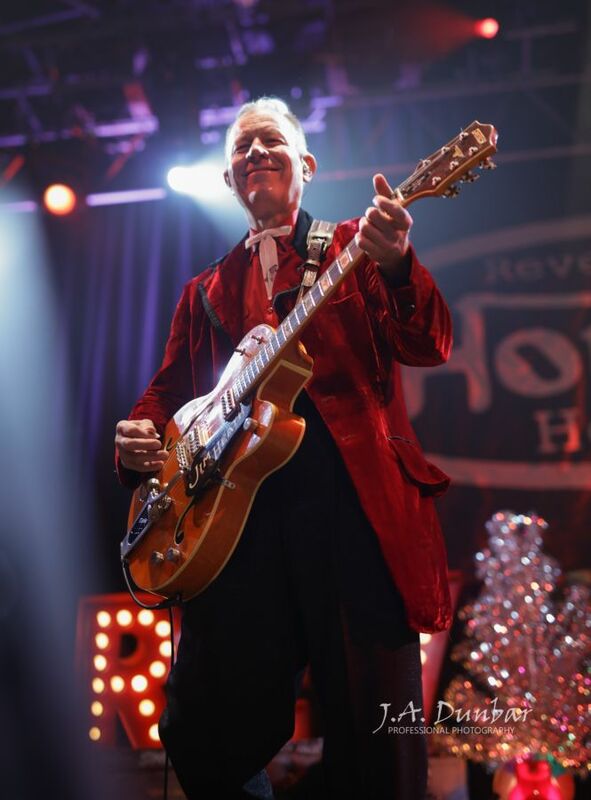 Rockabilly rebels rendezvous with the Reverend Horton Heat for “Horton’s Holiday Hayride Hoe-Down” at the House of Blues of Orlando Fl. 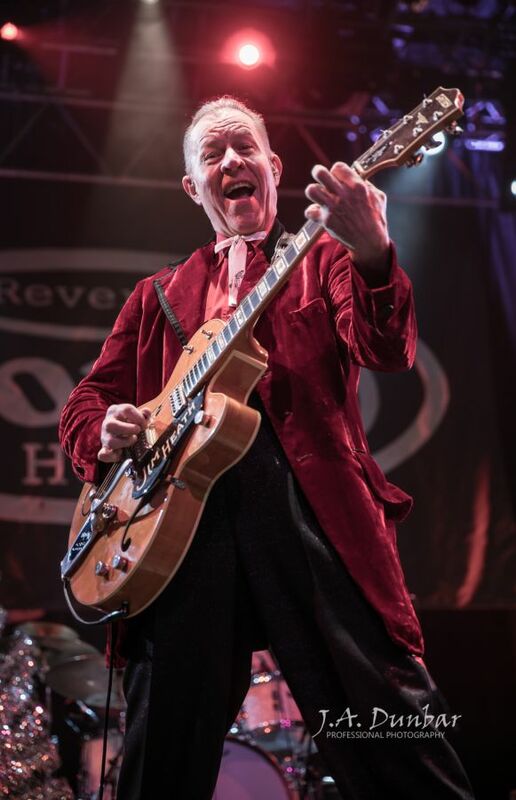 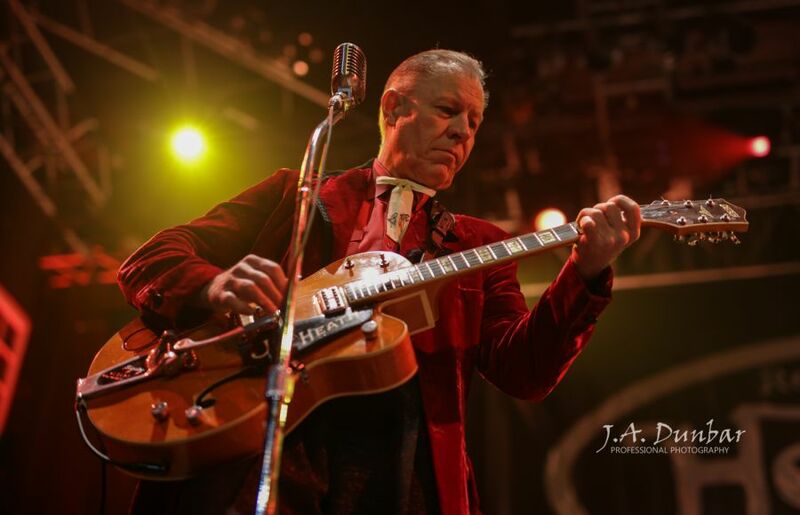 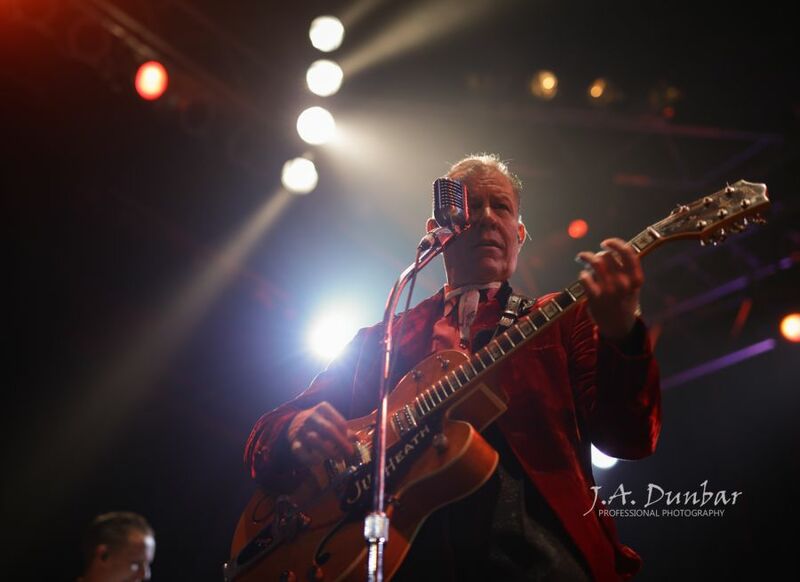 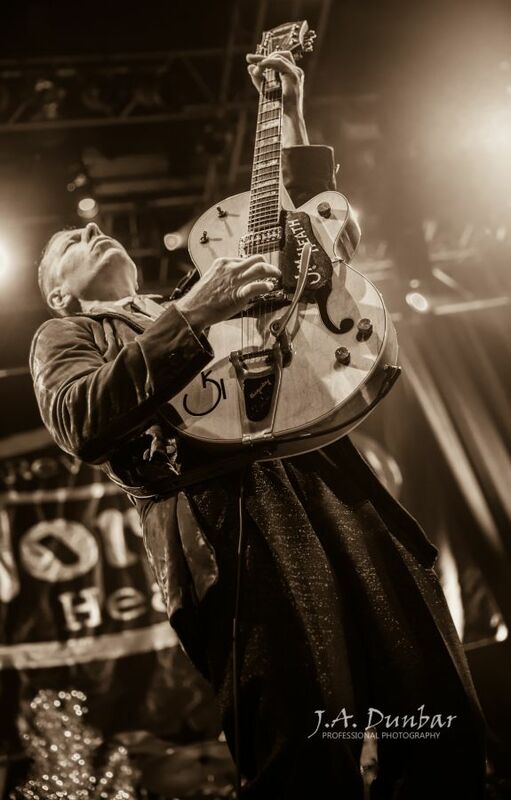 Whether you are a psychobilly, a rockabilly or an old-school punk, a discussion of the aforementioned will most definitely include the Reverend Horton Heat and his iconic impact of all of these genres. 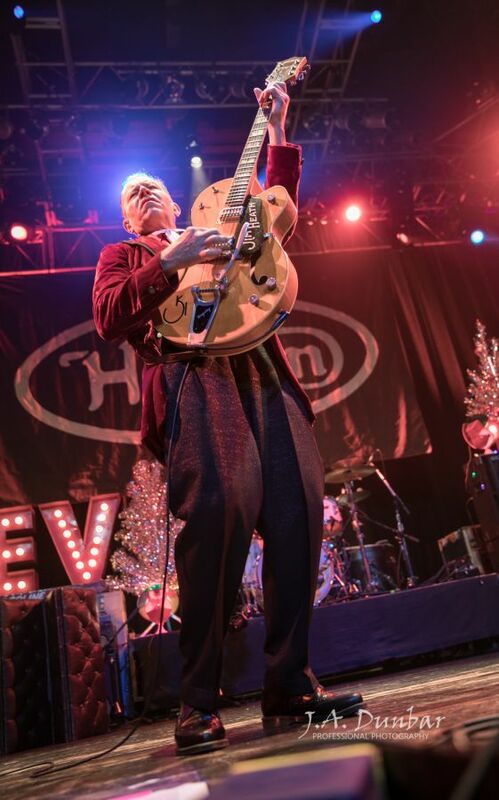 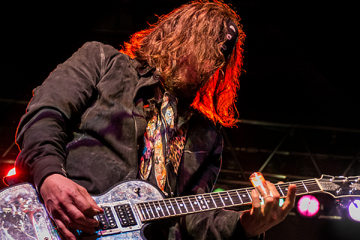 Sporting the finest of gentleman velvet Christmas suit, and a battered, ever so vintage Gretsch guitar, the reverend has spent decades entertaining his juke jiving fans with eleven studio releases in a career spanning over twenty-five years. 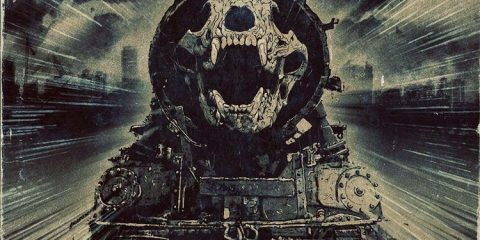 This evening, the fans of the Orlando Metropolitan area have arrived hours early, to cement their place in line and await the night’s performance. 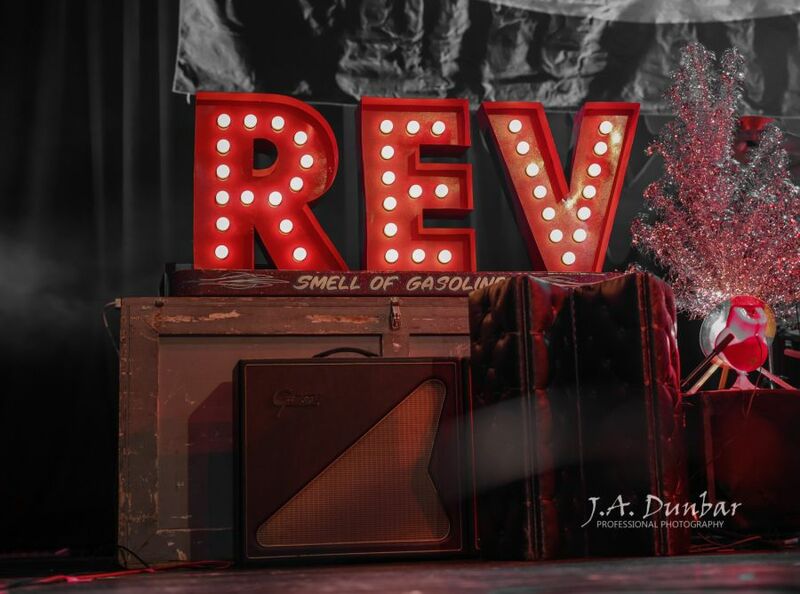 The scene: greasers, scantily clad pin-ups, and tattoos brandishing “rockabillies” bring a true to life 50’s ambience as the crowd piles into the House of Blues. 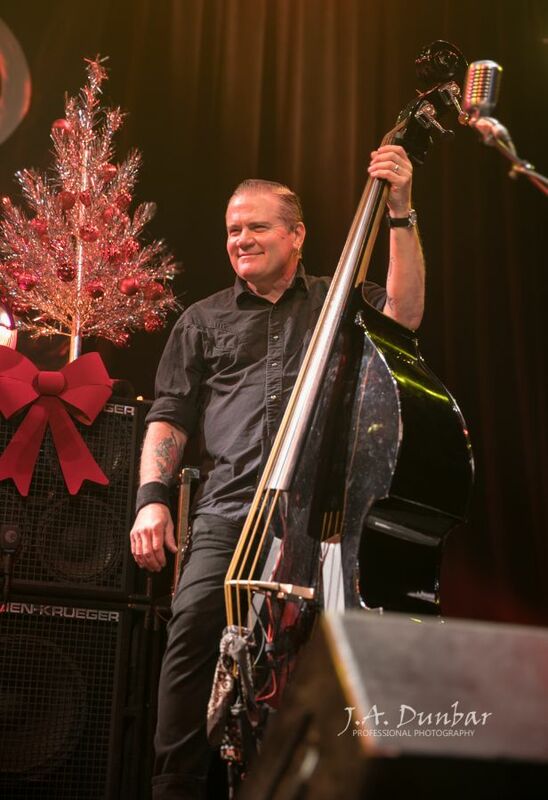 Shortly after 10:30 pm, the first of Heat’s troop marches on stage, and Jimbo Wallace scoops up a monster size upright bass that towers over him. 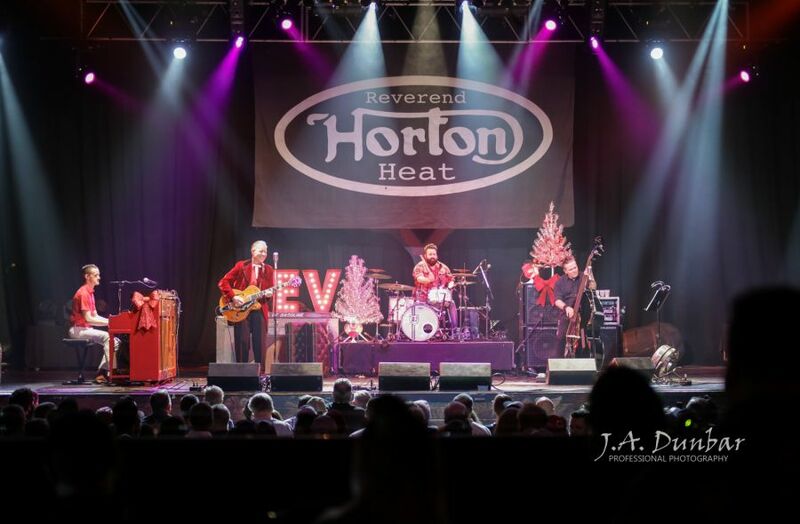 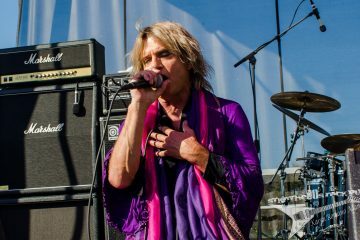 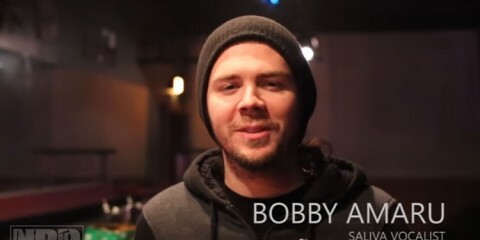 Cracking a big smile, as drummer and keyboardist take their places and join Wallace with a backbeat the crowd recognizes as “We Three Kings.” The Reverend walks onstage, sporting a large holiday smile as he greets a crowd of applauding fans. 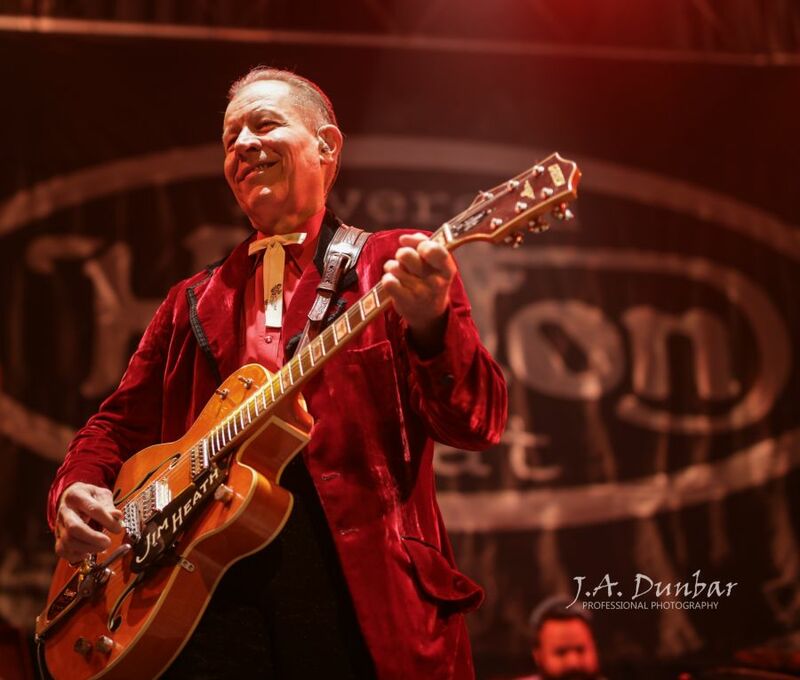 Heat grabs a nearby Gretsch guitar, emblazoned with his real name “Jim Heath.” A few test notes are cast toward his amplifier as he makes an adjustment, and he then turns to face his crowd with yet another big smile. 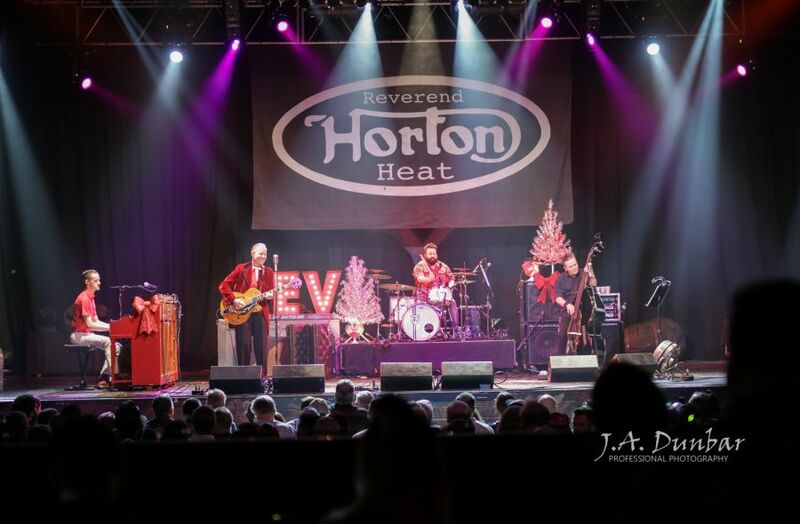 The quartet unites under the Reverend’s leadership and instantly electrify the capacity crowd with the famous tone that Heat and company are known for. 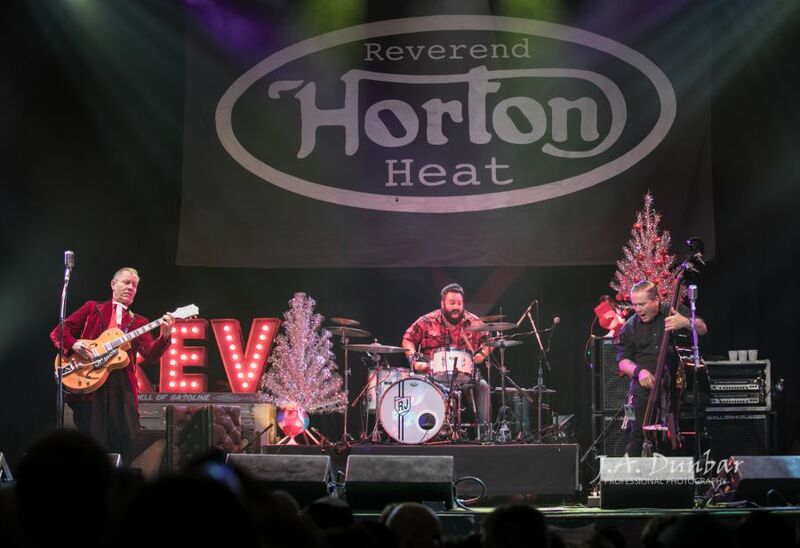 With Arjuana “RJ” Contreras on drums, and Wallace pounding melodies out of his gargantuan bass, the Reverend’s sound can best be described as “Big,” “Vintage,” and unmistakably his. 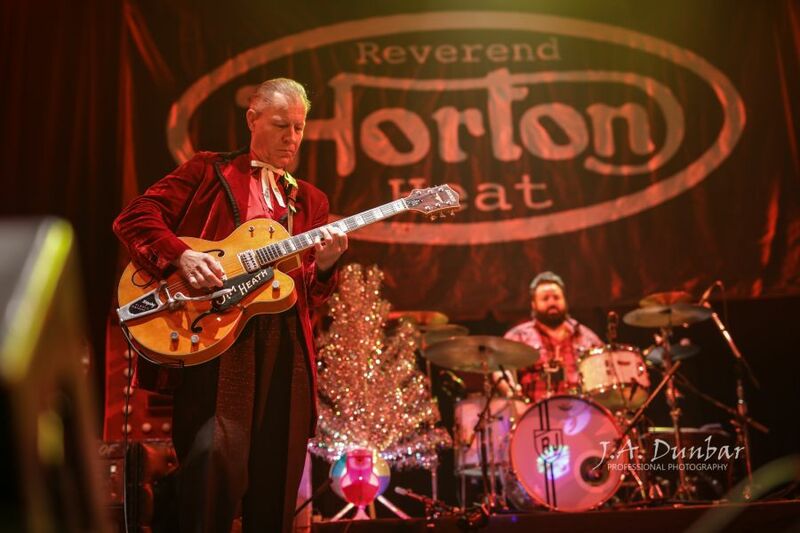 Horton Heat brings the crowd to the dance floor as he starts the iconic cult classic “Psychobilly Freakout.” All ages of concert goers are seen gyrating and jiving their bodies to the Reverend’s undeniable tone and tight rhythm accompaniment. 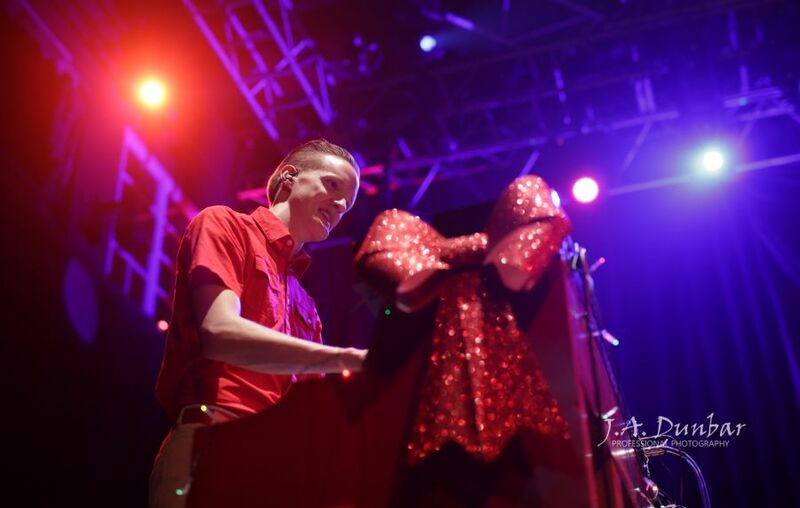 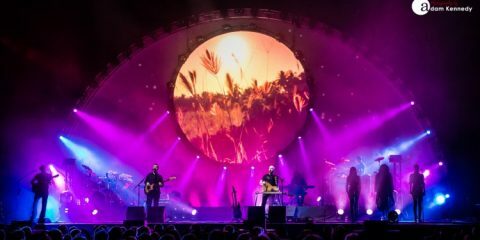 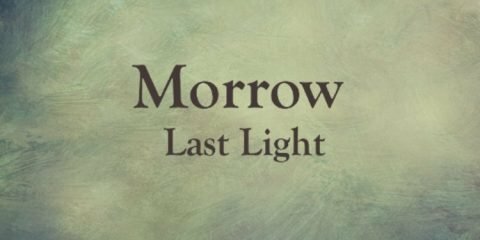 With the conclusion of this hoe-down, concert-goers were left with nearly an hour and a half of fantastic holiday moments and memories. 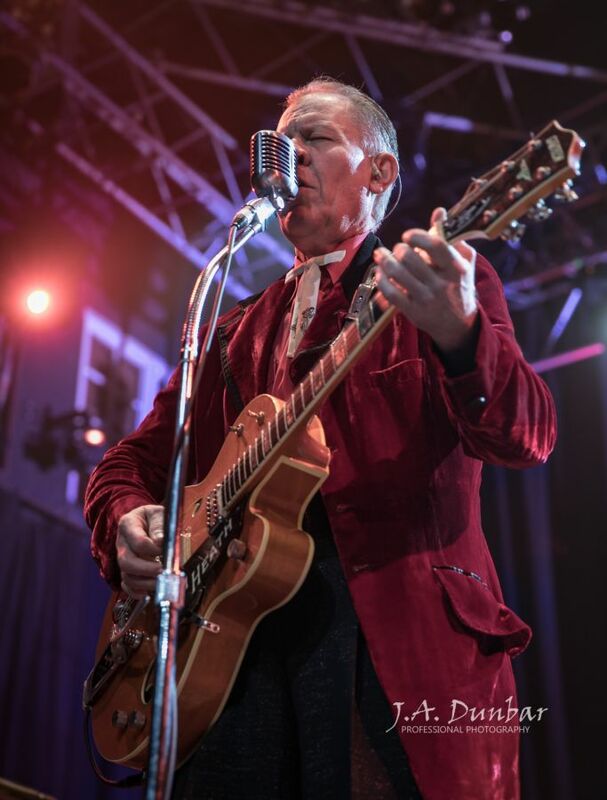 The Reverend Horton Heat and his lively and energetic performance prove beyond a reasonable doubt that real rockabillies don’t get old, they just keep getting better.